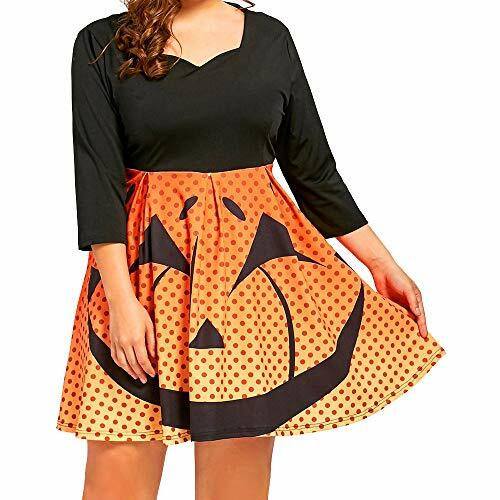 Women Loose Halloween Party Pumpkin Print Three Quarter Sleeves Gowns Dresses Plus Size (3XL, Orange) by Bookear at World of Justin. Hurry! Limited time offer. Offer valid only while supplies last. This is just stunning! We are in love with this knitting Dress. Fits beautifully!